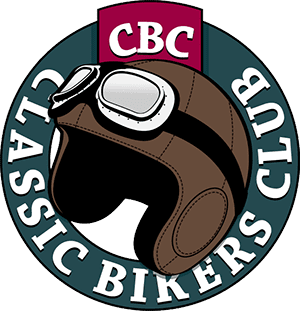 Let’s get it out there straightaway – there’s nothing wrong with restoring a motorcycle until it dazzles passers-by and a close inspection has to be done while wearing darkened glasses. Nope, nothing wrong with that approach at all, and to be honest I’m in awe of those who have the single mindedness to achieve such levels of restoration, as I know I’m just not that dedicated. Don’t get me wrong though, I like to see a clean motorcycle which works well, but if the paintwork has a few scuffs where a boot has rubbed against a frame tube for a year or 20, or perhaps the bright-work has dulled a little and maybe the saddle has been smoothed by a few years of Barbour suited riding or…well… you get the picture. 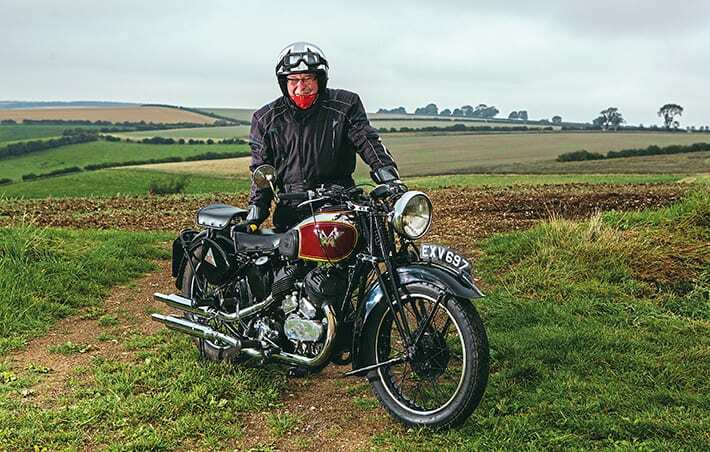 So, it should come as little surprise I accepted the offer to have a ride on Bryan Lingard’s 1938 Matchless Model X, a machine which came into Bryan’s ownership with the express condition he was to maintain but not restore the motorcycle. 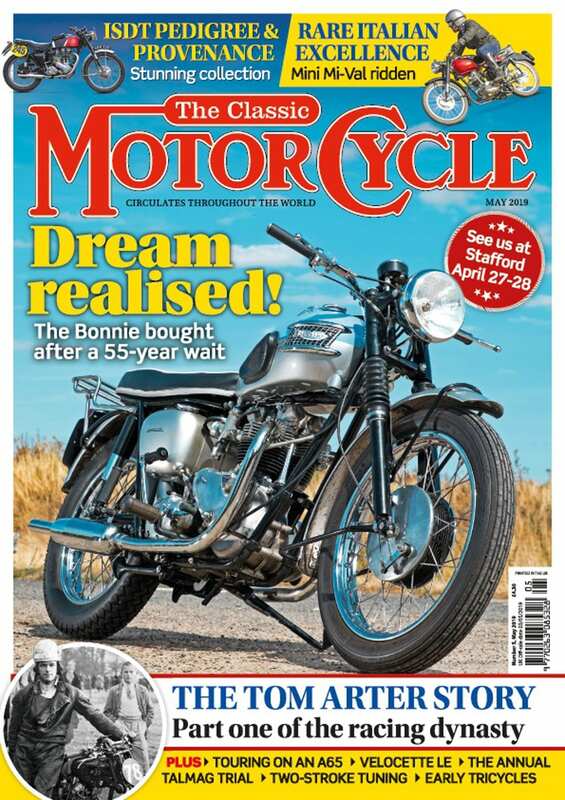 Those that are familiar with the Burman box fitted to the Matchless X – I’m not one of them, by the way – will know it’s the same as the Ariel Square Four and Vincent Comet, the clutch though while similar on all three isn’t identical. The clutch plates used on a Square Four will slip in, but their tangs are smaller and this rattling about in the clutch basket was what was making the noise. To cure it, Bryan welded fillets cut from old clutch plates on the over-run side of the clutch drum which quietened things down considerably. And that was pretty much that for quite a while and life with the X continued quite well, and it was a regularly used bike being pleasant to ride and easy to get on with. We all know the scenario of our own motorcycle being fine and we’re happy with it until someone else points out something. This can either be because a friend is offered a ride on it or perhaps a comment on a club run along the lines of “…you used to be able to start it first kick…” or something along those lines. Anyway, it dawned on Bryan the X was becoming harder to start and might benefit from a little investigative work. Without the complication of pushrods and rockers and that sort of thing, side-valve engines are pretty easy to work on as lots can be done while the engine is still in the frame. Taking the cylinder head off for instance – undoing six or possibly seven (I’m counting them from a drawing in my dad’s copy of Matchless by FW Neill) head bolts and it lifts off to reveal the top of the piston, valves and in this case a burnt head gasket on the rear cylinder. A call to Martyn Bratby had a new head gasket winging its way to Bryan, another call to the AJS and Matchless spares scheme had a new valve to replace the bent one also heading to Lincolnshire. Once these things were replaced, normal service was resumed. 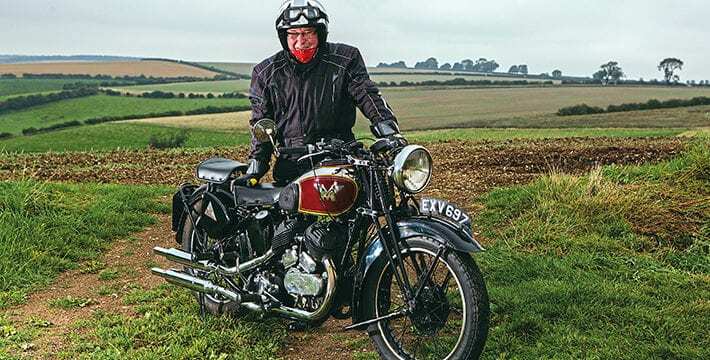 Bryan has managed to keep such replacements to a minimum and while the valve and gasket could be considered fair wear and tear on a regularly used 80-year-old motorcycle, the case of the final drive ratio is more perplexing. The Matchless X was often employed in its day as a sidecar machine and this particular one had indeed pulled just such a thing. 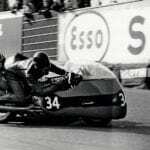 Brochures and manuals would include a small section detailing alterations for sidecar work, and one meant lowering the gearing so the engine would be able to cope with the extra load of a chair and passengers. This investigation was prompted by the bike feeling really busy at 60mph so Bryan pulled the primary side off and counted the sprocket teeth. 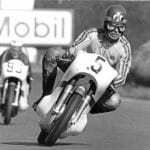 The figures he got were 24t on the engine, 43 on the clutch, 17 on the gearbox and 43 on the rear sprocket. He then went on to explain dividing the clutch figure by the engine figure and the rear sprocket by the gearbox sprocket gave figures of 1.791 and 2.5294 respectively, and the two added together gives 4.53 to 1 as the final drive ratio… Matchless people are possibly screaming at the page now saying ‘…that’s the solo ratio…’ which is true. 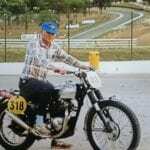 My source of info – the Matchless book by service manager Fred Neill – confirms this and adds the Model X on sidecar ratios should have a 22-tooth engine sprocket and the ratio of 4.94 to 1… if it had seemed revvy on solo gearing, imagine the feel on the sidecar set-up… There’s a theory (not my theory, but it’s a good one) that states roads in the 1930s were much less smooth and even then there would still be un-metalled surfaces, so in general overall speeds would be low; these days of reasonably surfaces and grippy Tarmac road speeds are higher so maybe the sensation is more to do with the periods in question? The Model X is a pretty rare machine, Bryan reckons maybe a couple of hundred or so out there, and as is the way with such things there is a web group for fellow owners. Through this group Bryan found other owners with similar concerns about the standard solo ratio being way too low for the modern world, and one member was running a set-up with a 3.84 to 1 ratio. Some more simple maths suggested a gearbox sprocket of 20t, with the rest of the sprockets standard, would improve things without overloading the engine and be close to this 3.84 ideal. At the time, the best compromise available was a 19t sprocket from Draganfly along with a slightly smaller 40t clutch drum sprocket from the same source. More maths showed the final ratio with this would be 3.77 to 1, but the engine would be able to cope with this increase. As an interim measure, Bryan got the 19t sprocket from Draganfly then realised it was dished rather than flat, which isn’t really a problem to someone with a lathe to make up some spacers. In the way of these things he then found a new 19t sprocket without any dishing. So this is the setup when I experienced the bike, and like the owner I felt it was still a bit buzzy, and during our chat Bryan told me he’d chanced on the VOC spares who stock a 22t sprocket, and this is a development for the future. Oh, and just in case you’re reading this and thinking ‘…why not just up the engine sprocket’? It seems bigger sprockets for this model are scarce, plus there’s the alteration in the kickstart ratio, too. However, back to the feel of this big twin on the road, with large tyres as standard and a spring saddle, it was comfortable if a little low in the seating for me personally, but that’s being picky and no reflection on the riding position really. 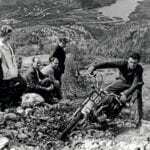 Nor did I have a problem with the handlebar bend or the controls on the bars – in fact, I can see now why the writers of the classic and pre-war period would use the phrase ‘…the controls fell readily to hand…’ because they did. They also worked very well too so clearly all cables and pivot points were well lubricated which is a sensible thing to do as it alleviates all sorts of problems. For instance, a neighbour of a mate of mine collared us one afternoon and said: “Me bike’s revving and won’t stop.” It wasn’t surprising as the throttle cable was so choked up it wouldn’t move… and he’d been riding it like that for ages. Suggestions he get a new cable were met with a blank stare… so, us being 20 and ‘experts’ we decided to lube the cable for him and an initial experiment with one of those contraptions you can attach to a bicycle pump failed, as did soaking in a tin of two-stroke mix overnight. In the end a kettle full of boiling water managed to free it off enough to get some lube inside… that was some hard earned pint. 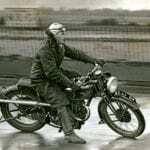 Thankfully, all the cables and controls behaved themselves, as did the front suspension, which for a 1938 Matchless had seen fit to add a suspension damper to the girder fork to help it cope with bad roads. Does it work? Don’t know, never found a bad road. Thanks to the still low-gearing, actual gear changing wasn’t a frequent occurrence with the X, but when it had to happen it was nice and sweet with each change being positive and the clutch behaving itself. Also behaving themselves were the brakes, which for SLS ones worked well, though in this day and age any rider of an old motorcycle should be paying a lot of attention to braking distances, which will be a lot longer than those on a bike with twin 12in discs. If you’re paying attention to the pics then you may spot a couple of modern accessories on the Matchless, though a rear view mirror would likely have been available in the 1930s, we doubt a satnav would. “I’m occasionally asked if it’s a period piece,” grins Bryan, “but both accessories make for a slightly easier time with the bike as with the mirror I can check who or what is hurtling up behind me.” We’re all for that extra safety thing, Bryan; the Matchless is a motorcycle to be ridden so anything to keep its wheels turning and the mileage being added to are a good thing.